The Cape Point Vineyards Isliedh 2017 has received a Platter’s 5-star and was rated the best Sauv-Sém blend in SA. 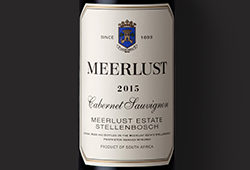 Although not directly comparable to Bordeaux, when you look at the scores and prices below, the Isliedh is a clear example of SA fine wine being under-priced. It’s a must-buy as one of our greatest whites that will easily age for a decade. * Bordeaux en-primeur prices inclusive of VAT. Available on request. Riandri Visser’s first standalone vintage is a cracker. 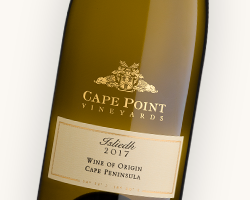 The Cape Point Isliedh is a benchmark South African white and the 2017 is one of the finest to date. 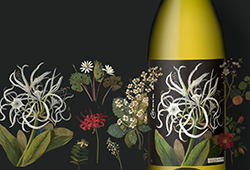 Buchu, spice, florals and good fruit concentration are underpinned by a fine acidity with a saline, lingering finish. A greater degree of Sémillon adds gravitas to the 2017; similar to the best ageing vintages of the past. 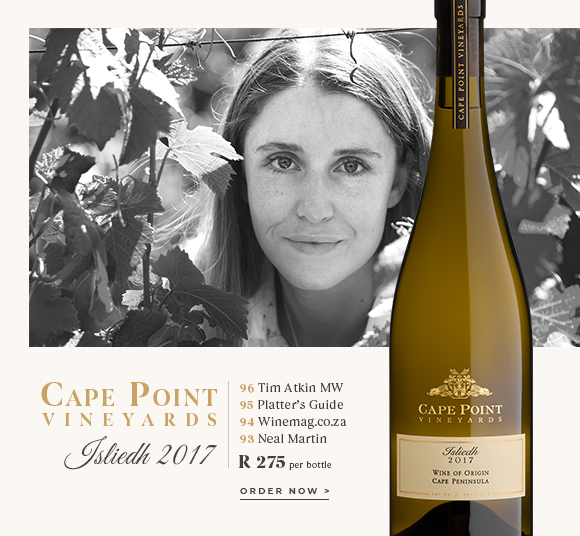 It is released alongside the impressive 2017 Cape Point Vineyards Sauvignon Blanc Reserve. Produced from a unique and marginal terroir, the Isliedh and Sauvignon Blanc Reserve are from vineyards exposed to the salty spray of the Atlantic Ocean. The two wines are made to offer a clear distinction between the blended style and what Sauvignon Blanc has to offer on its own. 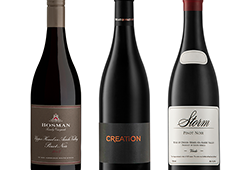 These great wines, from one of our greatest white vintages to date, are still under-priced we think.